As you are no doubt aware, there has been a great deal of controversy in the past few months about Congress’s handling of internal employment issues, most notably sexual harassment claims. It is less likely you are aware that Congress has actually moved rather expeditiously to address the problem. Last week a bill to do just that was introduced in the House by Representatives Gregg Harper and Robert Brady, respectively the chair and ranking member of the Committee on House Administration. 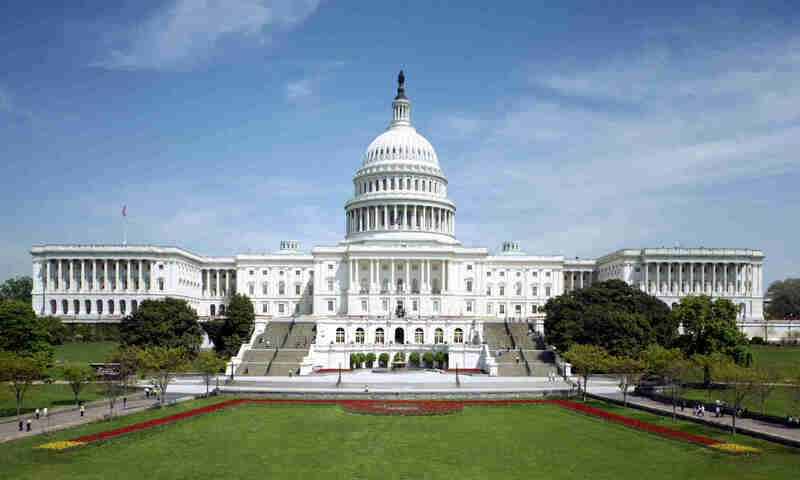 The bill is titled the “Congressional Accountability Act of 1995 Reform Act,” H.R. 4822. (Someone could have put more effort into this “short title,” but we will refer to it simply as “CARA.”). The Committee on House Administration has jurisdiction over House labor and employment issues, including the application of labor and employment laws to Congress through the Congressional Accountability Act of 1995 (CAA). In the wake of widespread publicity about the handling of sexual harassment claims in Congress, the committee held hearings (November 14 and December 7, 2017) to address perceived weaknesses in the CAA and the need to prevent sexual harassment in the congressional workplace. The committee heard from various witnesses, including representatives of the Office of Compliance (OOC), the congressional agency responsible for administering and enforcing the CAA. CARA addresses the problems identified in these hearings through various measures to better protect congressional employees from sexual harassment and other employment violations, including (1) establishing an Office of Employee Advocacy in the House to advise and assist employees with regard to rights and claims under the CAA; (2) authorizing the OOC General Counsel to conduct investigations of sexual harassment and other employment claims; (3) holding representatives and senators personally liable for awards and settlements arising from employment discrimination (including sexual harassment) or retaliation where their individual misconduct was involved; and (4) requiring the OOC to publish more detailed information about awards and settlements under the CAA. My purpose here is not to analyze CARA’s proposed reforms or take a position on the bill. I merely observe that, on its face, CARA seems to be a textbook example of how “regular order” is supposed to work. Congress identifies a problem, holds hearings, and proposes a legislative solution, preferably reflecting a broad consensus within the committee of jurisdiction. CARA in fact is cosponsored by every member of the Committee on House Administration. It also very bipartisan, with 14 Republicans and 20 Democrats listed as sponsors or co-sponsors. Among them are the chair and ranking member of the House Ethics Committee and two of the most outspoken House members on the issue of sexual harassment, Representatives Jackie Speier (D-CA) and Barbara Comstock (R-VA). (Note: I have known Comstock since we both worked on the Hill in the 1990s and have supported her in races for state legislature and Congress). Of course, the introduction of CARA is far from the end of the legislative process. The bill is now referred back to the Committee on House Administration and three other committees with some jurisdiction over its provisions (Ethics, Oversight and Government Reform and Ways & Means) where it can be further studied, amended and eventually marked up for consideration by the full House. There will be plenty of opportunities for further deliberation and changes in committee, not to mention (if it gets that far) on the House floor and in the Senate. Former congressman Aaron Schock, under investigation for financial misconduct while in office, has been in various disputes with the Justice Department about documents prosecutors are seeking from him. One of those disputes involves the somewhat peculiar legal status of documents from a Member’s personal congressional office. So the blog having been on hiatus for a couple of months, I will ease back into things with a discussion of this obscure topic. You may be aware, unless you happen to be former Secretary of State Hillary Clinton, that the records of federal agencies and the executive branch generally are subject to extensive regulation and control by various statutes, including the Federal Records Act, the Freedom of Information Act and the Presidential Records Act. You may or may not be surprised to know, however, that few if any of these laws apply to Congress. As the House Rules Committee observed in this 1988 report, the Privacy Act and FOIA explicitly exempt Congress from their coverage, and “[n]o statute comparable to the Presidential Recordings and Materials Preservation Act has ever been enacted with respect to congressional records.” Hmm, I wonder how that happened. In case you forgot, Rule VIII is the House rule that governs when a judicial or administrative subpoena is served on a member, officer or employee for documents or testimony relating to the official functions of the House. The rule requires that notice be given to the House, through the Speaker, whenever such a subpoena is properly served. Under paragraph 3 of the rule, the subpoena recipient is required to make three determinations regarding the subpoena: (1) whether it is a proper exercise of jurisdiction; (2) whether it seeks information that is material and relevant; and (3) whether it is consistent with the rights and privileges of the House. These determinations are also supposed to be provided to the Speaker and spread upon the Congressional Record. Sometime this spring a subpoena from the Office of Compliance was served upon the “House Office of Payroll and Benefits” in the Chief Administrative Officer’s office. The OOC is the entity established to administer and enforce the employment laws as they apply to Congress under the Congressional Accountability Act. OOC administrative proceedings are confidential so there is no publicly available information as to the case that precipitated this subpoena. Nor is there any publicly available information as to what documents were sought by the subpoena. Although Rule VIII provides that the Speaker “shall generally describe the records or information sought” when informing the House of a subpoena, this provision is routinely ignored. Instead, when a subpoena is initially received, it is forwarded to the House Counsel’s office, which provides written notice to the Speaker, the Minority Leader and the Parliamentarian. When the subpoena was addressed to a House officer, the notice (known as a “3 amigos,” don’t ask me why) will attach a copy of the subpoena. Thus, while the bipartisan House leadership will be informed of the nature of the documents requested, the House at large is not. We can surmise that the subpoena in question stemmed from an administrative proceeding brought against a House employing office under the CAA. Such proceedings are fairly rare. According to the most recent OOC report, for example, there were a total of 14 requests for administrative hearings in FY 2012. That total includes complaints filed against both House and Senate employing offices, as well as congressional support agencies like the Capitol Police and the Architect of the Capitol. There are probably only a handful of administrative complaints filed each year against a House employing office. Yesterday Roll Call reported on a memorandum issued by the Senate Disbursing Office to guide Senate employees on the considerable intricacies of their health insurance situation. However, with regard to the foundational question of whether any particular employee may continue to receive health insurance through the FEHB or, conversely, must get insurance through the DC Exchange, the memo provides little guidance. OPM has stated that the designation of whether an employee is part of a Member’s “official office” is ultimately determined by the Member, unless the Member delegates that designation to the Secretary of the Senate. The Senate Disbursing Office has provided each Member with a form to make “official office” designations regarding personal, committee, and leadership staff. The Disbursing Office will confirm your individual designation status after October 31, 2013 by mail. This sure sounds as if Senators will have the ability to designate “personal, committee, and leadership staff” as “official office” employees if they so choose. There is nothing in the memo I see to inform the exercise of this discretion or to discourage a Senator from designating all of her personal, committee and leadership staff as “official office” (or, conversely, from designating none). Leadership staffs and committee staffs are still exempt from the exchanges, as was written into the law (by leadership and committee staffs). It is up to each office, per the Office of Personnel and Management rule stated in the memo, to determine who is qualified for this exemption. But where does it say that leadership and committee staff are “still exempt from the exchanges”? As far as I can see, it doesn’t say that in the Disbursing Office memo and, as we have discussed, OPM didn’t say that either. Presumably Roll Call expects that Senators will designate leadership and committee staff as “official office” only if they anticipate the staff will spend some part of the year working in the personal office or on the personal office payroll. But if this is the rule, one would expect to see it appear somewhere in writing. Usually, legal standards are not established by word of mouth or on deep background. Of course, since Senators have the option of punting (I mean “delegating”) the “official office” designation to the Secretary of the Senate, presumably the Secretary has decided or will decide shortly how she would make the decision. Perhaps this is being communicated to Senators in some private fashion. Maybe it appears in the “official office” designation form that each Senator has received, a document which is not being shared with Senate employees or the general public. Who knows? Members of Congress and congressional administrative staff are best equipped to make the determination as to whether an individual is employed by the “official office” of that member. Designations must be made prior to November 2013 for the coverage year starting January 1, 2014 and October for subsequent plan years. Needless to say, this statement provides no additional clarity (which is to say no clarity at all) on the question of whether committee and leadership office staff may be designated as employed by the “official office” of a Member. A couple of other questions occur to me. What happens if a Member fails to make any designation by November? Is the default rule that any staffer not affirmatively designated by a Member by that date automatically remains on the Federal Employee Health Benefit plan? Also, is there a mechanism by which a staffer can affirmatively challenge a designation by a Member that he or she works in his “official office”? What happens in the case of shared employees who work for more than one Member? Of in the case of a committee staffer who contends that he works for the full committee chair, rather than the subcommittee chair, or vice versa? Or the ranking member rather than the chair? Eventually the CAO (or someone) is going to have to address these questions. OPM received several comments related to health care coverage for congressional staff and how staff will be designated for the purpose of determining which individuals are required to purchase their health insurance coverage from an Exchange. OPM has not amended the final rule on the basis of these comments. OPM continues to believe that individual Members or their designees are in the best position to determine which staff work in the official office of each Member. Accordingly, OPM will leave those determinations to the Members or their designees, and will not interfere in the process by which a Member of Congress may work with the House and Senate Administrative Offices to determine which of their staff are eligible for a Government contribution towards a health benefits plan purchased through an appropriate Small Business Health Options Program (SHOP) as determined by the Director. Nothing in this regulation limits a Member’s authority to delegate to the House or Senate Administrative Offices the Member’s decision about the proper designation of his or her staff. The final rule has been amended to provide an extension for staff designations affecting plan year 2014 only. Designations for individuals hired throughout the plan year should be made at the time of hire. Though it is hard to tell for sure. What the Bleep is an “Official Office”? Much outrage ensued last month when the Office of Personnel Management issued a proposed regulation that allows the federal government to defray the cost of congressional health care purchased on the Exchanges pursuant to the Affordable Care Act. Less notice was taken of OPM’s more dubious decision, or rather non-decision, on the question of who is required to purchase insurance on the Exchanges in the first place. Some background is required. During the heath care debate, Senators Coburn and Grassley “argued that if Democrats were so keen on creating new health care programs, the president, administration officials, members of Congress and their staff should also be required to participate.” They offered amendments to that effect. Eventually the sausage machine spit out a provision that embodies their concept, but only applies to Congress, not to the executive branch. Go figure. Specifically, as enacted into law, Subsection 1312(d)(3)(D) of the ACA provides that “Members of Congress and congressional staff” are only eligible to receive health insurance “offered through an Exchange under this Act.” When this provision becomes effective, therefore, Members and anyone who qualifies as “congressional staff” will no longer be able to participate in the general health insurance program for federal employees (the FEHB). The question then is who qualifies as “congressional staff.” As far as I know, “congressional staff” is not a term of art defined in the law, but the ordinary meaning of the term would generally cover legislative and administrative employees of the House and Senate, with the possible exception of those who solely provide support services like installing the furniture, running the restaurants, etc. See Cong. Rec. 655 (Jan. 5, 1995) (“[O]ur legislative and our administrative personnel [are what] many people think of when you think of Capitol Hill staffers.”) (Sen. Glenn). Note the apparent lack of content in this definition. It hardly seems necessary to explain that “all full-time or part-time employees” are covered or that they may work “in Washington, DC or outside of Washington, DC.” Or they may be short or tall, fat or thin, I’m guessing. The only real point of the definition seems to be to limit “congressional staff” to those “employed by the official office of a Member of Congress.” But what is an “official office”? Do Members have “unofficial offices”? No one seems to know what an “official office of a Member of Congress” is, and, as the Congressional Research Service has observed, this phrase has not previously been used in statute or appropriations law. If clarity had been desired, there are many existing statutory definitions that could have been used. For example, if the intent had been to limit “congressional staff” to those employed in a Member’s personal office, it would have been easy enough to say this plainly. See 2 U.S.C. § 1301 (9)(a) (defining “employing office” for purposes of the Congressional Accountability Act as including “the personal office of a Member of the House of Representatives or of a Senator.”). Of course, a cynic might conclude that obscure language was deliberately used so as to maintain plausible deniability in case someone read the provision before it was passed. During the legislative process, Coburn and Grassley apparently objected to the definition of “congressional staff” as too narrow, contending that it would exclude “higher-paid committee aides and leadership aides.” They wanted to use Grassley’s original definition, which had covered all employees paid through the House and Senate disbursing offices. That would not only have been broader, but more intelligible and consistent with existing statutory usages. See, e.g., 2 U.S.C. §§ 89a, 130b, 130c and 130d (defining House and Senate employees as those who receive pay from the relevant disbursing authorities). Mr. Schuelke’s Report chronicles significant prosecutorial misconduct in a highly publicized investigation and prosecution brought by the Public Integrity Section against an incumbent United States Senator. The government’s ill-gotten verdict in the case not only cost that public official his bid for re-election, the results of that election tipped the balance of power in the United States Senate. One might think that the Speech or Debate Clause would have a role in preventing this type of prosecution, but, for reasons I discussed at the time, it was of little use to Senator Stevens. On the other hand, in another Speech or Debate Clause case, currently pending in the same court, the defendant has proved to be much more fortunate. Howard v. Office of the Chief Administrative Officer is an employment discrimination case brought by a former employee of the CAO’s office, who alleged that she was discriminated against based on race and retaliated against for engaging in activity protected under the Congressional Accountability Act. If the purpose of Speech or Debate is to protect “the independence of the legislative branch from intimidation and interference,” as Judge Kennedy wrote, one would think it much more relevant to the Stevens prosecution than to the Howard case. But the courts have struggled to draw the line between “legislative activities” and “non-legislative activities” without giving much thought, it would seem, to whether the results make any sense.